Hima Kfar Zabad was announced on 26 October 2004 to protect the site from all kinds of abuses, especially continuous hunting. 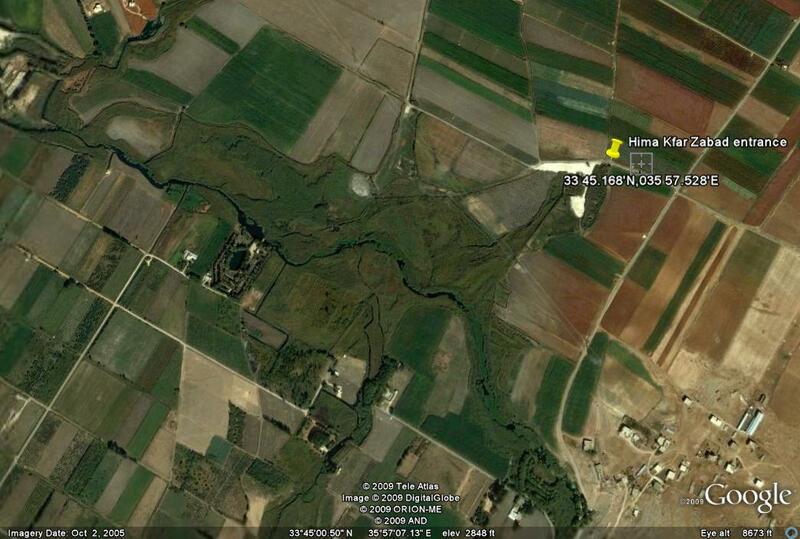 The Hima area covers the whole Important Bird Area that constitutes the wetlands in addition to the agricultural lands. This area is highly rich in its unique flora and fauna; with more than 138 bird species, and a number of globally threatened plants. The area is characterized by the breeding of Syrian Serin globally threatened bird in addition to otter and wild cat. 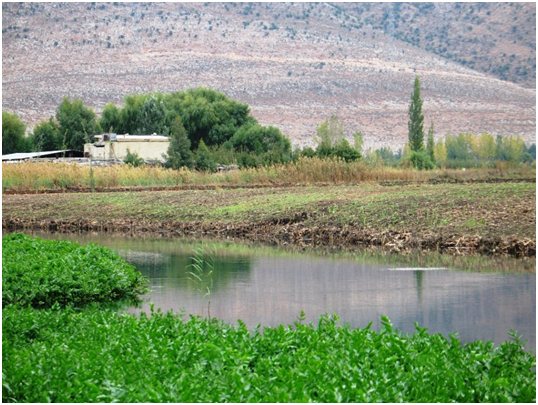 Kfar Zabad wetlands are the last publicly owned wetlands in the Bekaa valley, where a lot of migratory waterfowls pass. 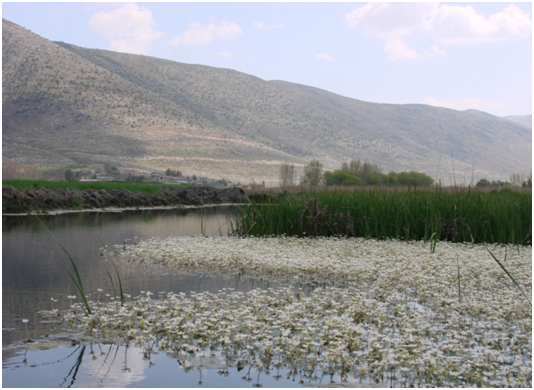 It depends on two main springs: Ma’asaya & Shamsein which combine later as the Ghzayil River that constitute one of the tributaries of Litani River. It provides drinking water to over 30 surrounding villages. – Medium rope activities that are suitable for wide variety of target groups from students to corporate. Climbing: The hill, at 1000m altitude, located in a central position of Kfar Zabad, is highly suitable for climbing and rappelling. – Biking or donkey ride: Kfar Zabad offers around 25 kms of suitable trails for biking. – Hiking: The most common sport activity is hiking, where hikers on the agricultural trails can enjoy the natural scenery. 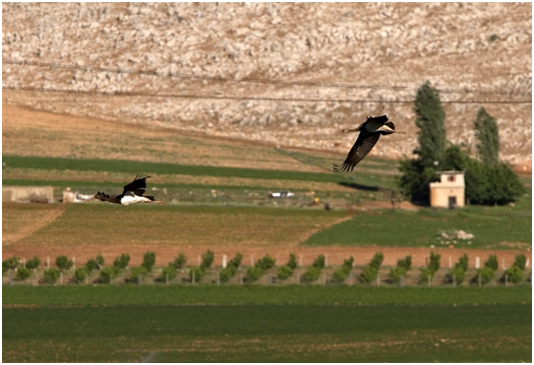 – Bird Watching: Kfar Zabad is declared as an IBA, by which up till now, more than 125 bird species have been identified. – Visiting the agricultural lands surrounding the swamps or wetlands: A visit to the cultivated fields surrounding the wetland will allow visitors to be exposed to Kfar Zabad agricultural products, from cabbage, corn, wheat, fruitful trees,… etc. – Bed and Breakfast: Kfar Zabad is well known for its good hospitality services, where by several facilities exist on the site and in the village. For example, the visitors center, picnic and camping area, trails, ponds, and bed and breakfast to provide the needed services to visitors.